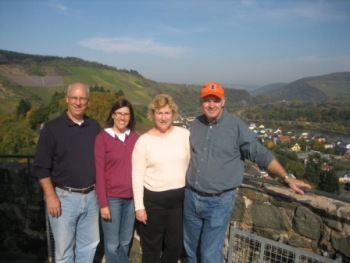 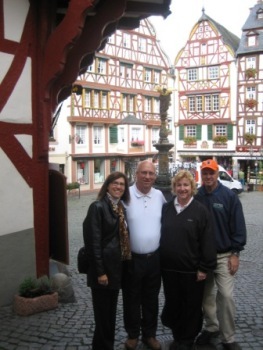 Carma, Ken, Paul and Vicki were at the Oktoberfest in Saarburg, Germany. 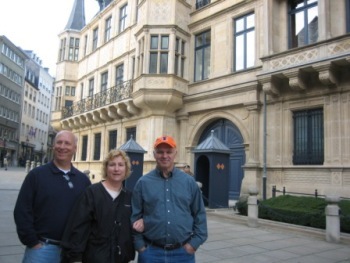 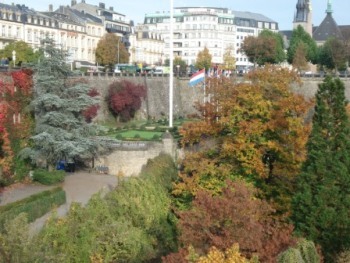 Later that day we visited the Ducal Palace in the capital of Luxembourg. 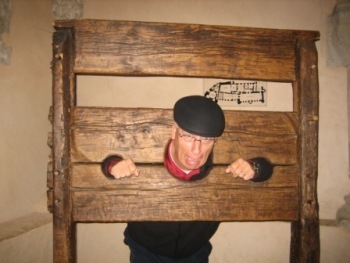 When we went the castle in Vianden, Luxembourg; Paul was put in the stocks. 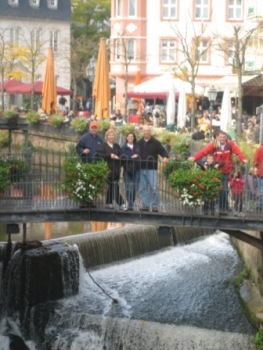 Bernkastel-Kues was a Mosel town with lots of tourists! 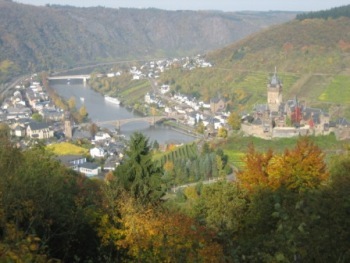 Cochem was a beautiful city with a castle that was a 15 minute straight uphill walk. 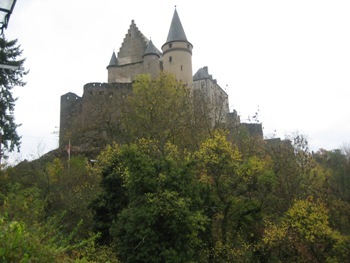 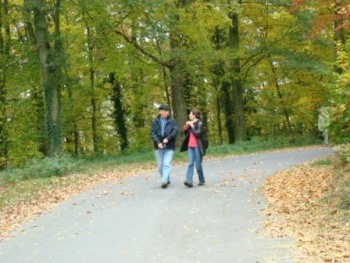 The walk to Burg Eltz was beautiful. 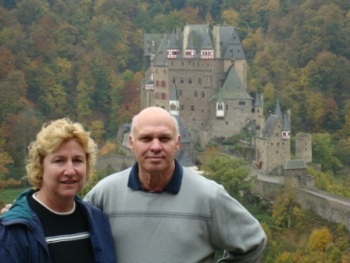 Carma & Ken posed above the castle.